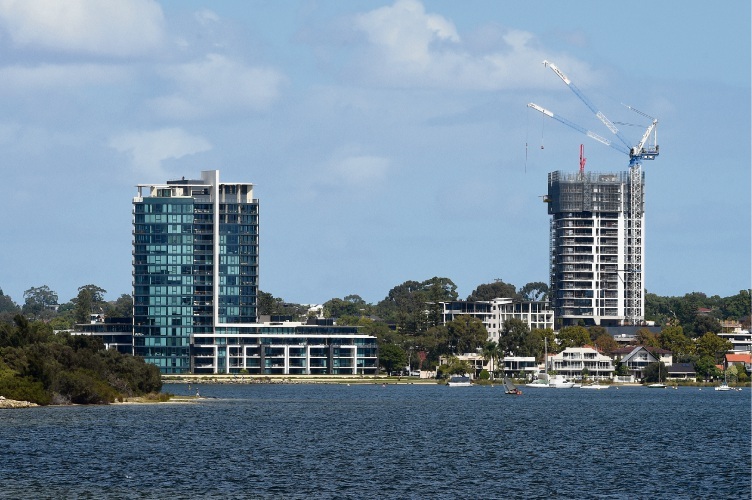 The Canning Bridge Activity Centre skyline is changing, with plans for a number of high-rise developments. HEIGHT caps could be introduced within the Canning Bridge Activity Centre Plan (CBACP) amid concern about the scale of developments and the speed at which they are being approved. 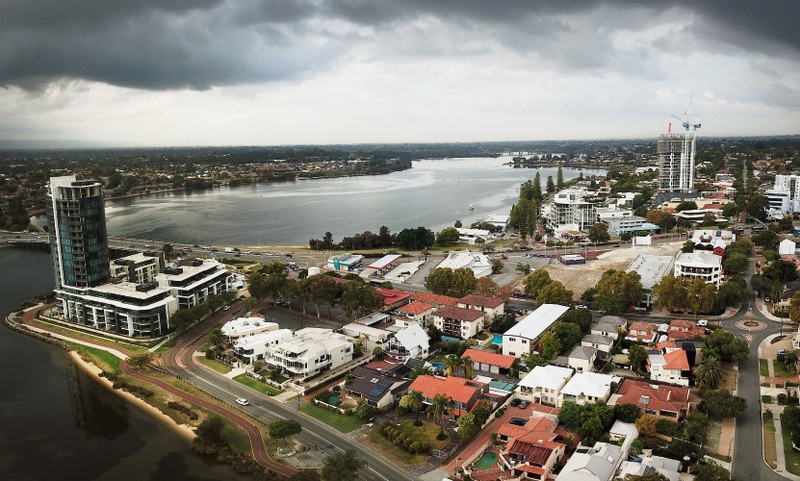 At the City of Melville’s recent council meeting, Deputy Mayor Matthew Woodall called for a report that would consider limiting the number of levels in the M15 area to 20 to 25 storeys, and 15 storeys in the M10 zone. He also asked for “more descriptive criteria for determining community benefit” when it came to assessing whether additional storeys were warranted in the CBACP’s core areas. “The concept of having additional density around transport hubs such as Canning Bridge appears to be broadly supported by the community however I think the current plan is causing some concern for residents due to the scale and speed at which developments are being approved,” he said. Cr Woodall said it was currently difficult to understand the basis for which additional storeys were being approved, adding the current planning framework did not appear to contain any upper limit on bonus storeys. “We’ve seen a 30-storey development recently approved,” he said. Cr Nicholas Pazolli argued there had been “an appetite or acceptance of additional height in the activity centre plan” if community benefits were delivered. But he said developments including Cirque (20 storeys), The Precinct (22 storeys) and Sabina Applecross (30 storeys) had caused residents to speak up. “That is when the penny sort of dropped or when citizens of Canning Bridge, Applecross and Mt Pleasant started to be extremely concerned,” he said. With more in the works, he said the council had to “wind this back”. “We can’t be leaving (heights) to the discretion of the Development Assessment Panel (DAP),” he said. Cr Nicole Robins spoke against a possible cap. “I believe in meeting dwelling targets set by the State Government, not just for the sake of meeting them but because I believe in reducing urban sprawl for a more liveable City,” she said. Cr Woodall said having “reasonable upper limits” would address concerns while keeping the area vibrant and the City on track to meet dwelling targets. “I think it’s worth looking into – having a report from the officers and we can then discuss whether there’s an appropriate level to cap it at and move forward from there,” he said. Cr Woodall’s amendment formed part of an item carried 9 – 0 considering car parking requirements, limits to lot sizes and building height in the H4 area, privacy and CBACP definitions.